I recently took issue with Remy Charest’s twitter quip that, “A fair amount of 14% alcohol California Pinot is part Syrah.” (Ed. Note- this part of a conversation about Rex Pickett’s comments, found in Straight Discussion with Rex Pickett.) This led to some civil back-and-forth between Remy and me, and ultimately his very kind invitation to write something about the topic here for Palate Press. The notion of blending Syrah (or other Rhône-style varietals) into Pinot Noir is not a new idea, nor did it originate in California. Karen McNeil, in her book The Wine Bible, asserts that “Before World War I much of the Chateauneuf-du-Pape harvest was sold in bulk to Burgundy, to be used as vin de medicine—a quick fix of alcohol to boost Burgundy’s strength. Decades later the practice was still commonplace.” I can’t help but wonder if these stories were also a case of a bell unable to be unrung, and that the rumors of this practice exceeded the actual occurrence. The current theory, that a fair amount of California’s Pinots are blended with Syrah originates with those who find little similarity between Pinot in the Golden State and the wines of Burgundy. They assert that the Pinots of California are “too big,” “too ripe,” “too alcoholic,” “and too concentrated” to be 100% Pinot Noir. Now, I am not so naïve as to believe that Syrah (or other dark red wine) is never added to Pinot Noir in California. In fact, I know that it has been done (legally, by the way, as a wine needs only to contain 75% of a variety to be labeled as such in California). Castle Rock Winery has mentioned a Syrah addition in their tasting notes, Chalone did the same with Petite Sirah, Red Tree’s winemaker did so in an interview with Jim Laube, and Au Bon Climat has even listed the addition of Mondeuse on one of their Pinot Noir labels. There are many things that can occur leading one to produce bigger and heavier Pinot Noirs. For example, in many of our vineyards we regularly experience 120 days or more between grape set and harvest. The old rule of thumb was that 100 days elapsed between these occurrences. These additional 20 days provide greater phenolic and color development leading to darker Pinot Noirs. The widespread use of enzymes also plays a role. Enzymes such as “Color Pro” and “Color X” break down the grapes skins allowing for greater extraction of the color that is already contained in the grape skins. Finally, California has generally eschewed the use of stems in fermentation. Wines that are produced using whole cluster ferments are generally lighter in color (à la Dujac) while those made from completely destemmed grapes tend to retain greater color intensity. As a producer of Pinot Noir under the Siduri label and Syrah under the Novy label we have taken this topic very seriously. So much so that we have experimented, in our lab, blending a small amount of Syrah into our Pinot Noir, just to see what everyone else is accusing us of doing. And our experience is that if we were to ever want to make such a blend, it would have to be with damn uninteresting Syrah. Syrah that has character, that has pepper and earth and meat quickly overwhelms any Pinot Noir and doesn’t work as a blending component. There is a bigger question at play here. One of the greatest beauties of Burgundy is the wine’s ability to express the smallest differences in terroir. The wines from one section of vines are distinctly different than those from another, even if that section is just across a dirt road. Yet, ironically, many who celebrate these differences fail to embrace the same differences when they manifest themselves in the expressions of Pinot Noir in California. 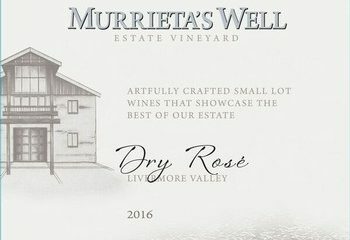 In this case they choose to emphasize typicity over terroir and because they don’t find the wines typical of Pinot Noir’s Burgundian expression they choose to accept the rumor that much California Pinot Noir must have an addition of Syrah. In doing this, what is lost, in my opinion, is the even greater than imagined ability for Pinot Noir to express the uniqueness of site. This greatness of Pinot Noir is truly a bell that should be rung and a rumor worth spreading. 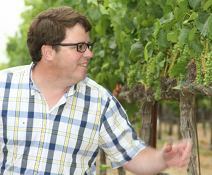 Adam Lee is co-owner and co-winemaker (with his wife Dianna) of Siduri Wines and also of Novy Family Wines. Located in northern California, Siduri produces Pinot Noir using fruit sourced from sites stretching from Oregon’s Willamette Valley to the Santa Rita Hills in Santa Barbara County. Novy explores grape varieties other than pinot noir, including syrah, grenache, zinfandel, and numerous others. In most cases Siduri and Novy purchase grapes by the acre rather than by the ton, thus allowing Adam and Dianna to visit the sites frequently and make decision involving leaf-pulling, shoot thinning, crop load, and harvest timing. Amazingly enough, making wine from all of these sites actually provides a respite from the joyous insanity of raising their three children, ages 11, 7, and 4. Kind of irrelevant whether or not the pinots have syrah or not. The style of many of these wines remains unrepresentative and destroys the very charm expected from the grape. I would just like to insist that the Tweet Adam refers to was just something said in jest, in reply to another person who had said – in jest too, I believe – that 14% pinot *was* syrah. It was in no way meant as a serious, researched statement of fact. It’s ironic, of course, that Adam caught on to that particular tweet when, in fact, it was thrown in the midst of a discussion where a number of expert wine lovers were saying that pinot just couldn’t work above 14% alcohol, and I was saying that things are actually more complicated than that. I’ve tasted some very balanced – and not dark! – pinots clocking in around 15% alcohol, with the result throwing any alcohol-level theory right out the window. The important thing, though, is that a good discussion ensued, as well as this piece being published today. I enjoyed reading the piece thoroughly. It does raise a couple of questions, however. First, I’m always perplexed by the 75% rule on US varietal wines. You couldn’t say “pure orange juice” on something made of 75% orange juice, yet you can say “pinot noir” on the label of a 75% pinot noir – or cabernet sauvignon, or merlot, etc. Sure, it’s legal, but a 25% grey area is kind of big, in my opinion. Second, when Adam mention the “widespread” use of enzymes like Color Pro and Color X, he may be pointing out a reason why many feel that California pinots are impossibly dark. Because of a wine culture that – wrongly – values darkness and extraction as signs of quality, winemakers are artificially enhancing color in a type wine that shouldn’t need it at all. If the 20 extra days of hang time are providing all this extra color already, why would you even want to push that further along? Rémy – I’m completely in agreement that the wine laws in the United States seem confusing and lax. This is why I appreciate seeing states like Oregon who have increased that minimum from the federally mandated level of 75% to 90% (though there are still exceptions which I’m sure have some sort of political reasoning behind them). And certainly the alcohol perception is faulty—see the 2009 vintage here in Oregon. Hottest on record excluding some year in the 60s I believe. Alcohol is well above what is set as a allowed in Burgundy, and while they don’t retain acidity they’re certainly not all perceptibly hot. Adam – thanks for your input and voice on this topic! 1) Enzymes — Remy, I don’t know that I would got as far as saying they “artifically enhance” color. From my experience, enzymes extract the naturally occuring color from the skins (they also extract tannins…and they also make the wine fall clear) but they do not add color. The addition of Syrah or the addition of MegaPurple would add color. 2) I hope that no one is naive enough to believe that the use of enzymes is a California exclusive. I stil recall the first time I ever saw enzymes and talked to a winemaker about their addition. The winery was in Oregon’s Willamette Valley, and they had purchased “special” enzymes from a winery in Burgundy that were used and available there but not available in the states. 3) I don’t know of too many smaller, higher quality wineries that would have difficulties with increasing the varietal labeling law to 90 percent. 4) At the same time, I don’t know many people (winery-related or otherwise) that would want their taxes raised to help enforce stricter labeling requirements. Would you (generically) be willing to pay for that? 5) Europe is not exempt in any way from ridiculous and questionable wine practices. For example, there are yield limits on Grand Cru, Premier cru, etc. vineyards. By law, however, these yield limits aren’t really limits as to how many grapes can be produced from a Grand Cru vineyard, but how many can be declared from a vineyard. So you could produce 40hl/ha but only declare 25hl/ha and still the vineyard could be classified as such. 6) Remy, you mention the federal regulations regarding Orange juice? Ever read them? They are, in part, contained here: http://cfr.vlex.com/vid/101-percentage-juice-purporting-contain-19705632. Try and make sense of them. I can promise you that I would get out of the wine business if this type of regulation was inflicted upon wineries. I wouldn’t be able to make a living. 7) Ryan, I don’t believe there are higher end limits for alcohol levels in Burgundy. They have lower limits on brix (the ban de vendage) to which exemptions are granted all the time. But not, upper. Thanks for the opportunity to express some more thoughts! Hm, I thought I’d learned Burgundy was regulated at minimum and maximum. My mistake. Thanks! Thanks for finding this….I wasn’t aware (sorry Ryan) — although doing some digging it seems that maximum levels exist for certain crus, but don’t seem to be listed for others. Does that seem correct? Also, am I reading it right that it in the crus where there is a maximum it is a maximum natural alcohol levels (presumably chaptalization could increase those?). Also, in digging around I found that 15% white grapes (Chardonnay, Pinot Gris or Pinot Blanc) can be blended into red Burgundy. I’ve never heard of that happening — but could it be legal? Chalone never had Petite Syrah to put in Pinot Noir. Chalone makes a Monterey County Pinot Noir now and the wine note on the 2007 says that it contains Petite Sirah. Thanks for this interesting article, and for opening up the Twitter exchange that Remy does a good job of framing. The use of color extraction enzymes merits more discussion. So do claims about the relationship between alcohol content and quality. @Remy Charest: Oregon has stricter regulations than the US 75% standard, requiring 90% for pinot noir, pinot gris and chardonnay, while permitting the 75% standard for cabarnet. I’ve been calling them cabernets noirs till now. How about meritage noir? Back in 2006 I was having lunch at Boon Fly Cafe. A couple of acquaintances who I knew worked for larger producers were sitting at the table next to us, openly discussing how they were going to “hit their target program volumes” for their respective sub-$20 Pinots for 2005 – a vintage heavy overall but generally quite short for Pinot from here in the North Coast. They referred to “extenders”: Syrah was mentioned but they were both interested in very cheap bulk from the Central Valley. They discussed the relative merits of Cabernet and Barbera. I was not surprised, nor was I disdainful – these guys had a job to do. In the 90s I worked at a services laboratory. A client brought in a sample of a bulk Pinot they had inherited. It was pretty awful and they wanted some advice on what could be done to make it palatable. After a week of trials I recommended a heavy fining with milk, blending in a small amount of a fresh, fruit-laden barrel fermented Chardonnay, and a small dose of Mega Purple. This under $20 wine went on to win a Gold at the State fair in its class. I saw this as a success, having turned the proverbial sow’s ear into a silk purse. I could go on – I have seen and done a lot in nearly three decades of winemaking – but the point is that there are way more justifications for blending than just to produce a “bigger” wine. On the other hand, since 1995 I have produced both Pinot and Syrah under our label and would testify in court that I have never once slipped so much as a drop or a skin of Syrah (or anything else, including Mega) into our Pinot bottlings. Like Adam, I have friends working for artisanal wineries with whom I can discuss production openly and honestly, and not one of them is blending anything into their Pinots either. The discussions of enzymes and stems have been spot on. “Color” enzymes don’t make wines darker, but they do result in a perceptible change to the structure of the wine on the palate. Using green stems – or whole-cluster fermentation – does result in lighter-colored wines. One may choose to make a personal value judgment that the styles of some otherwise unblended California Pinots are “unrepresentative” but in my opinion it is more than a little arrogant and presumptuous to expect everyone else to share that opinion. I drink as much red Burgundy as I do all other New World Pinot combined, and can say there are some wines from every region that I won’t spend my money on because I object to their quality or style – but there’s no way I’m going to dog those producers, or their fans and customers. The way I read Remy’s tweet I’m pretty sure he feels the same way. I just want to point out that in California for AVA wines (Sonoma Coast, Napa Valley, Santa Lucia Highlands, etc), the maximum that may be blended into a varietal wine is 15% of another variety – not 25%. For County and State appellations, (i.e. Sonoma County, Napa County, Monterey County) the 25% limit applies. Same thing on inter-vintage blending. 5% for AVA, but 15% for County and State. But isn’t the goal of a good winemaker to make the best, i.e. what he/she percieves as best, wine possible, while remaining within the regulatory boundaries of our regulatory system? During my apprenticeship in Europe, the old Grandfather once told me that during his apprenticeship prior the the great war (WW1) he had to pick a bucket of elderberries every day to dump in the pinot fermenters. Did that make those great wines any less great? Were those pre-phyloxera wines not just as enjoyable as ours today? If you would like to taste a true expression of California Pinot from the Santa Maria Valley and Santa Rita Hills AVA try Summerland Winery. Our Pinots might be a little light in color but are pure Pinot noir. I wont give into the pressure that biger, bolder and darker makes a better wine. 100% Pinot noir has its place in giving a wonderful sensory effect to the palate and should be respected.